Now for those who already know me, know that I have come to become a Makeup Junkie in the past couple of years. 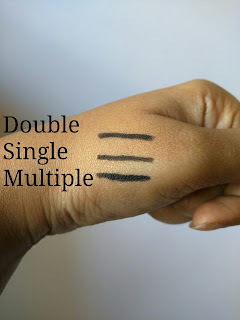 For those who don't, well here is my very first review of a makeup product. 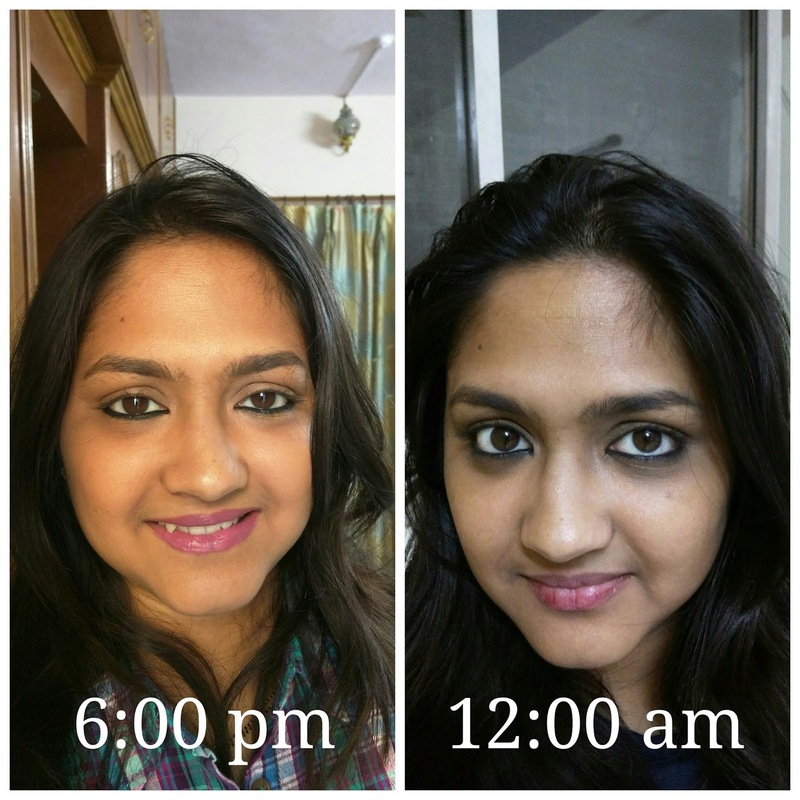 As any other girl, my introduction to makeup happened with 'Kajal'. This was way back in the year 2000. And was not introduced to any other makeup product till 2013. 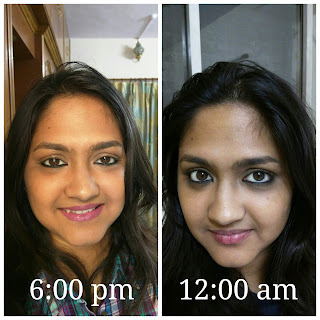 So kajal/kohl is my most favorite makeup product. It in fact isn't even makeup for me anymore. It's a basic necessity. 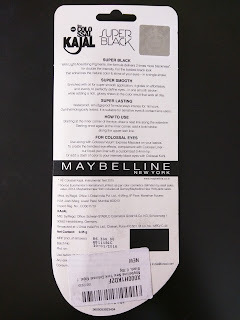 So my first ever review by default has to be dedicated to kajal. And today I bring to you the brand new Maybelline New York's The Colossal Kajal Super Black. This one is Maybelline's new launch. You can see the product claims in the photographs below. The packaging of the product is slightly different from its original sister. This one is black with yellow accents. It claims to be 2x Blacker with a 16 hour wear time. This baby is Priced at Rs. 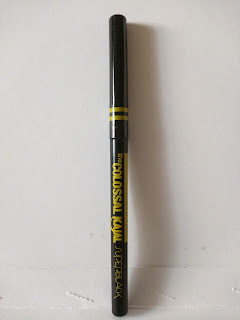 300/- for 0.35 grams for all the extra blackness and long wear time it has to offer. I bought it from Amazon. The Kajal is in a Black Retractable Pencil with the name printed in Yellow. I really fancy the packaging and think it looks classier than the earlier one. I wish they come up with sharpenable pencils, since I prefer them. They are safer to use as you can sharpen off the tip and they're as good as new. Also we get more product with them than with these retractable ones. 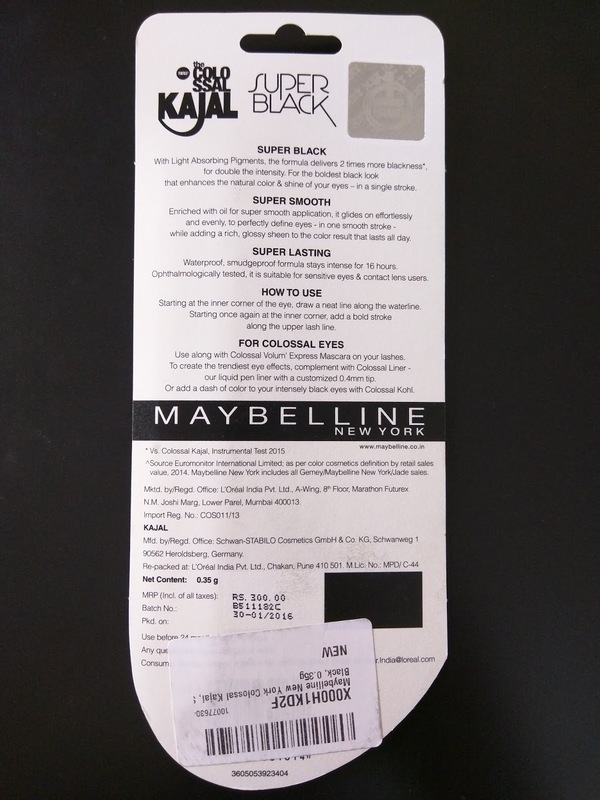 The Pigmentation of this Kajal is good, however not as dark as I like. If I have to compare it to its predecessor, I'd definitely say it is twice as dark, and a lot smoother. 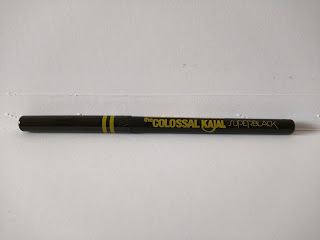 It glides on easily giving a good black color in just one glide. 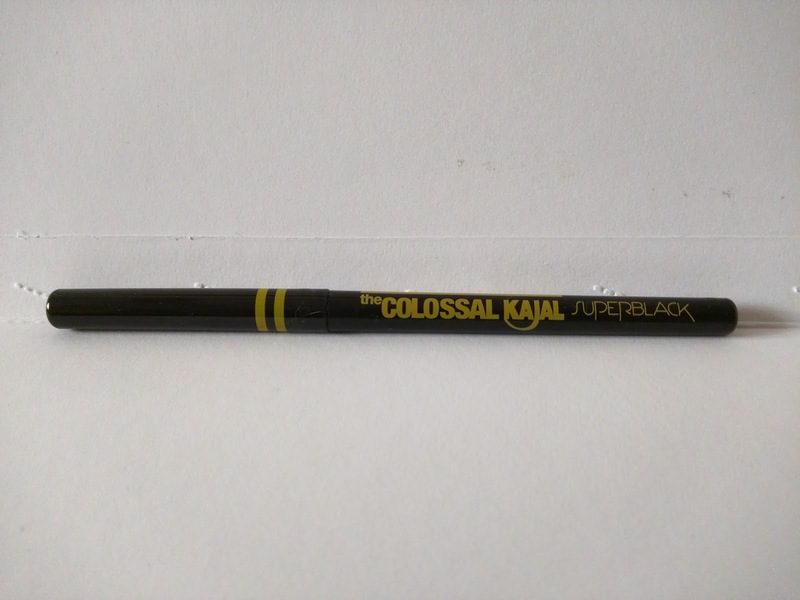 I had this problem with the original colossal, where it used to tug a bit on the waterline. You can see the swatches in the photographs below. 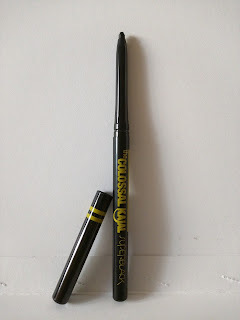 The Kajal is completely Smudgeproof & Waterproof. It takes about 10 seconds to set, and once it does, it does not budge. So we have very little time to play around. 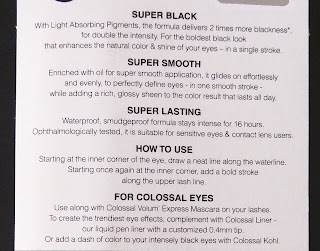 In the photograph below I have rubbed the kajal really hard and even tried the water test. And I am surely impressed with its durability. 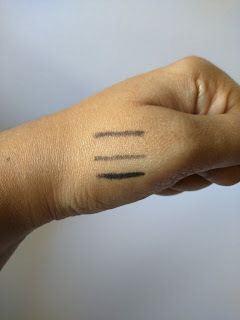 As you can see, though the double and single swipes have faded, the multiple swipes swatch is still standing strong even after vigorously rubbing it under water. The product did not budge even with my cleansing milk. That sure will help keeping the Panda eyes away. So full marks on that. The Staying Power of the product is a good 8 to 10 hours on the waterline and almost 12 hours on the upper lashline. 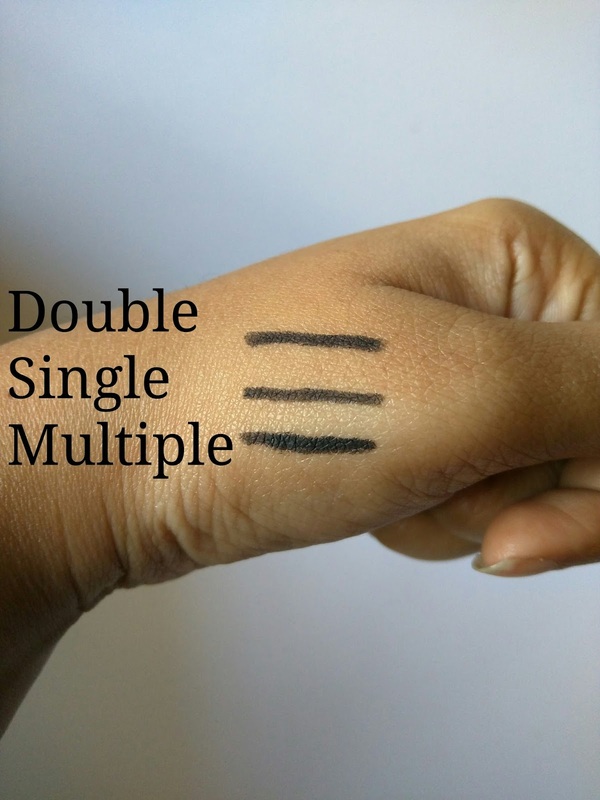 I generally do not like wear my kajal on my upper lash lines and thus keep the products different. I have always found it difficult for any kajal to stay on my eyes. No matter which product I use, it always smudges and gives me panda eyes. I love applying thick kohl/kajal, which just adds to my agony. 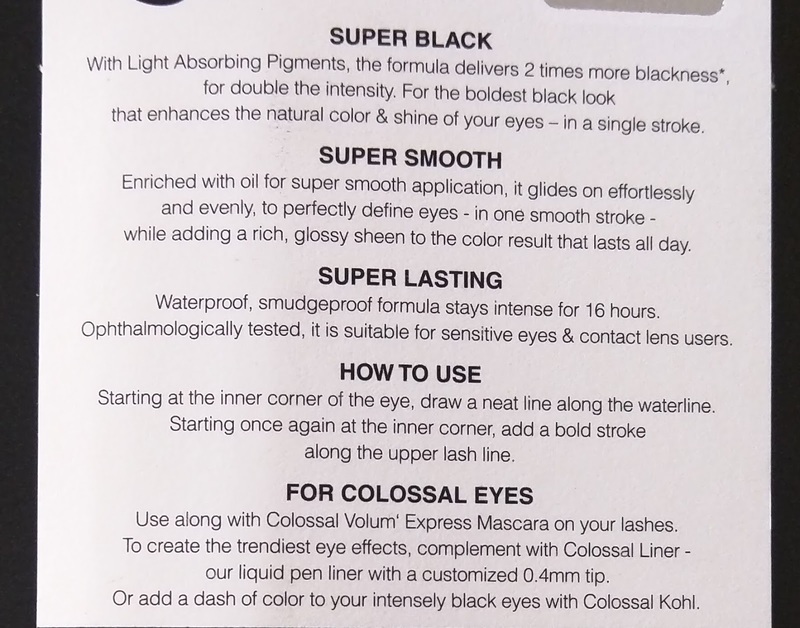 Considering these factors, this kajal fared well on my eyes. 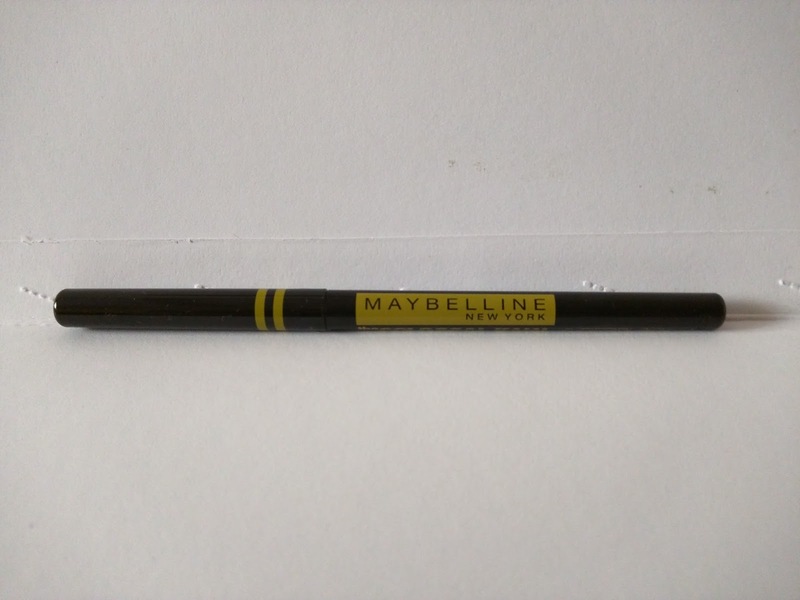 It gives great pigmentation on the waterline and stayed put on my waterline for almost 8 hours, however it did smudge on my lower lashline after 6 hours as you can see in the photographs. Yes. 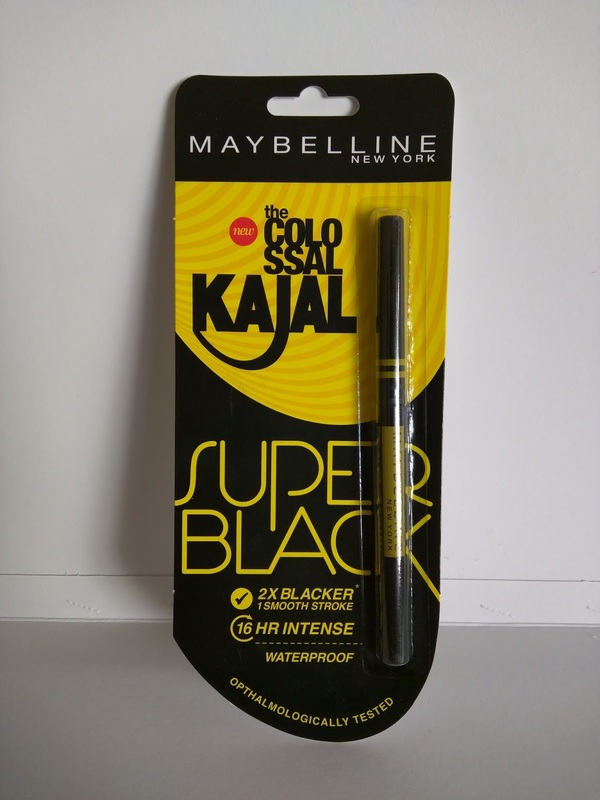 If you want to try something new and blacker than the colossal kajal, do give this a try. It won't give you a vastly different experience, but it is still worth a pick for an update to your vanity. No. I would'nt buy it again anytime soon, instead would try something else next time.